Bugatti was founded in in 1909 in Molsheim, France by Ettore Bugatti an Italian imigrant. 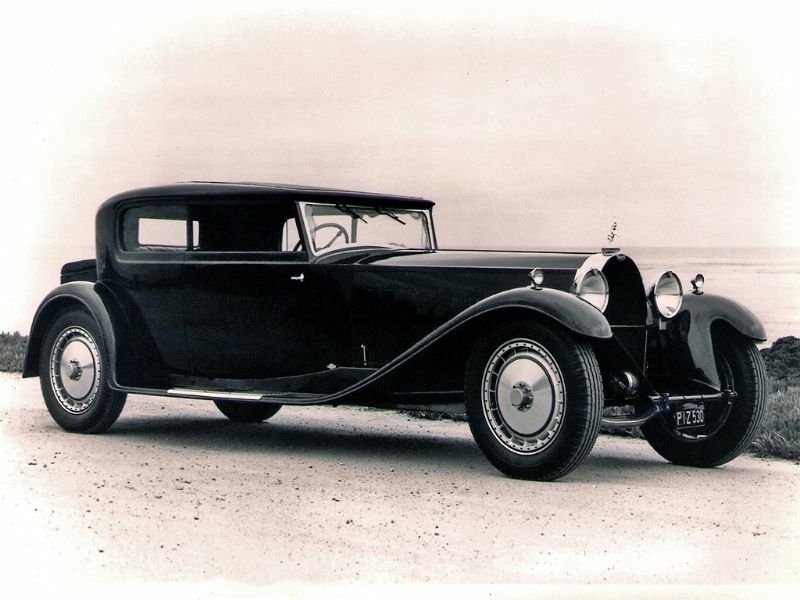 The company produced expensive, and in the case of the Royalle some of the most exclusive bespoke cars in the world. 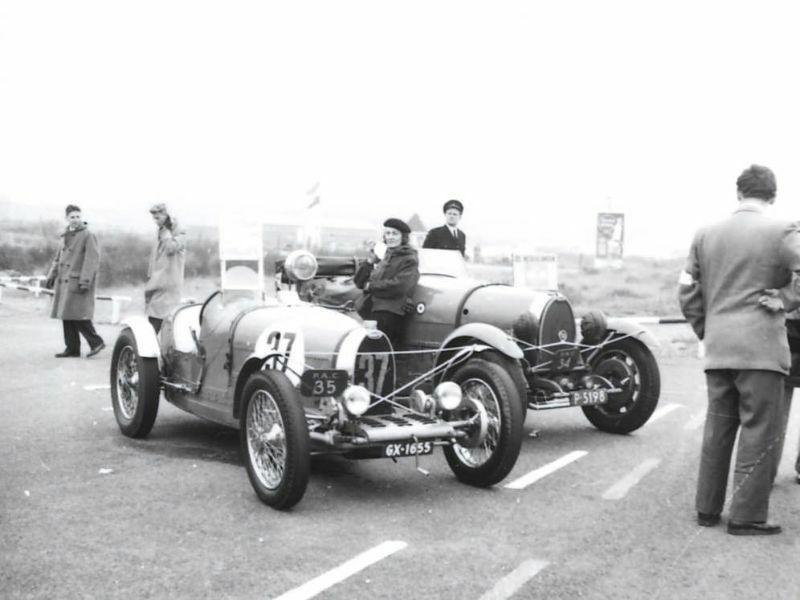 The T35's and T51's were amongst the most sucessful voiterette racing cars. 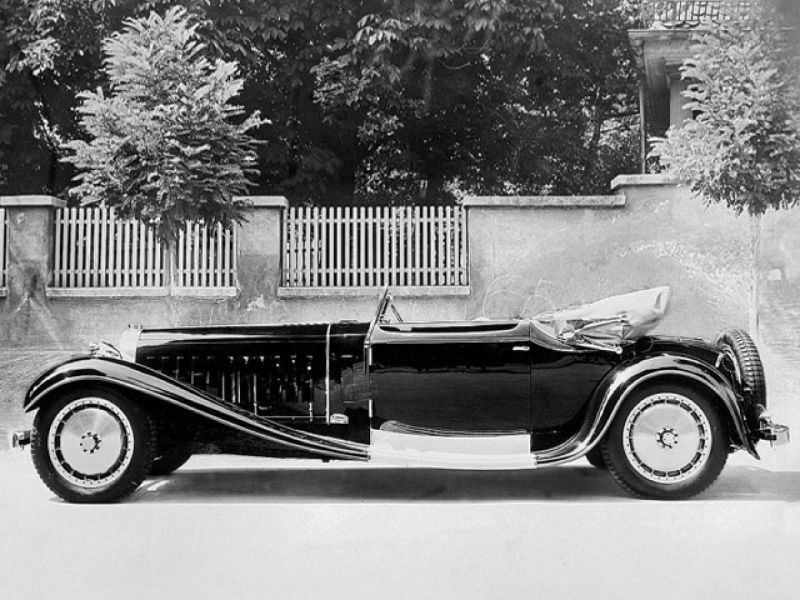 Bugatti also produced aircraft engines and the engines for French rail cars. The badge not only bears the name Bugatti but the initials of Ettore Bugatti with an inverted E.
The death of Ettore Bugatti in 1947 proved to be the end for the marque, and the death of his son Jean Bugatti in 1939 ensured there was not a successor to lead the factory. No more than about 8,000 cars were made. 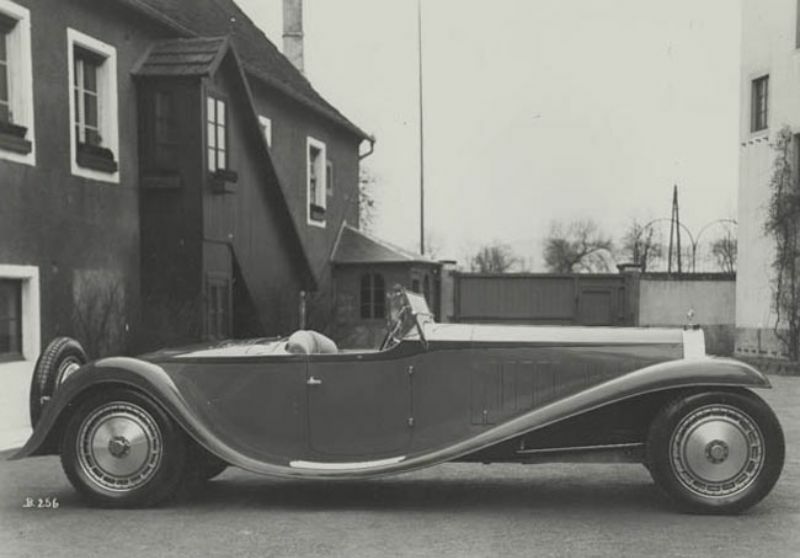 The company struggled financially, and released one last model in the 1950s, before eventually being purchased for its airplane parts business in 1963. 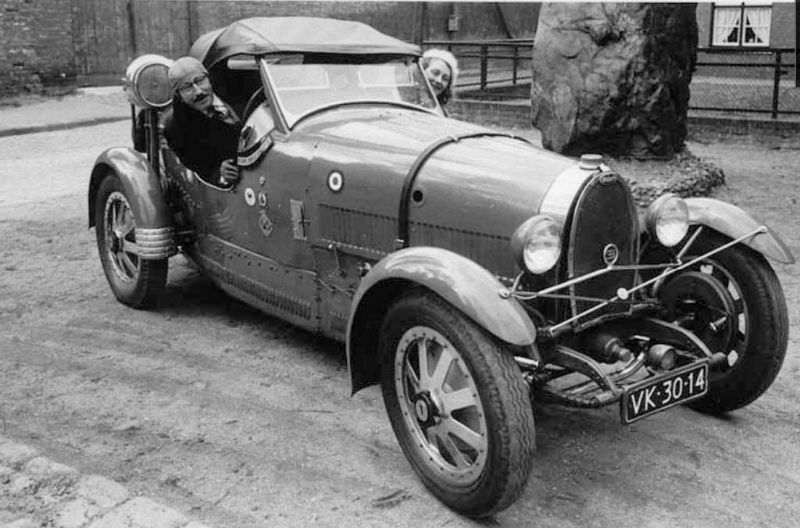 In the 1990s, an Italian entrepreneur revived it as a builder of limited production exclusive sports cars. 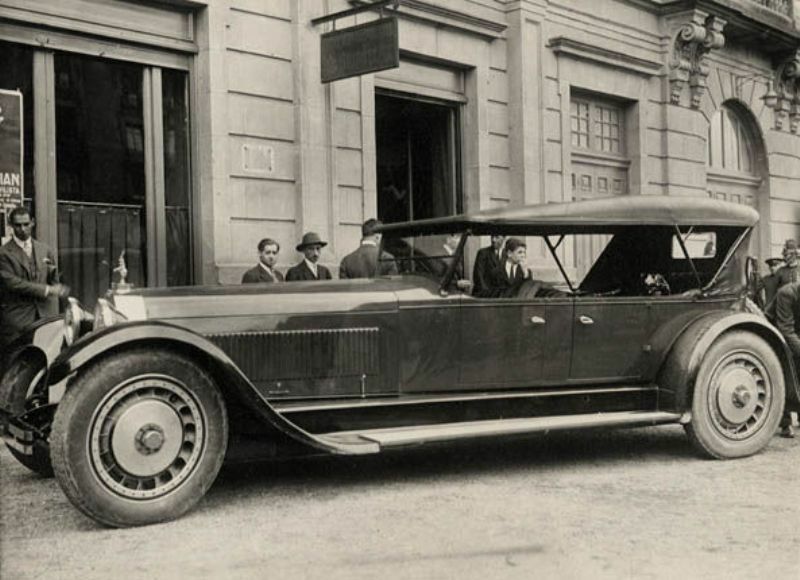 Today, the name is owned by the Volkswagen Group. 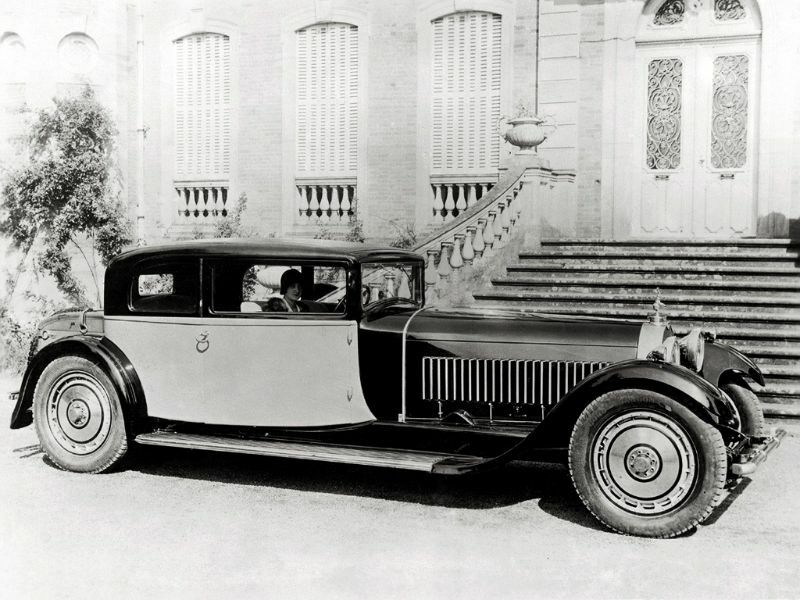 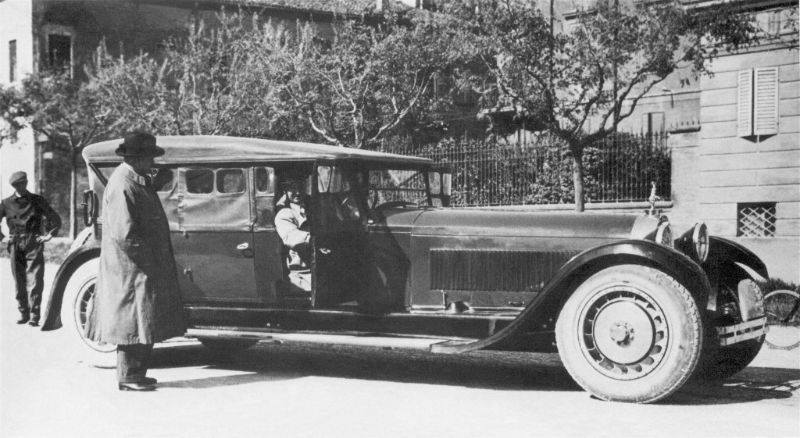 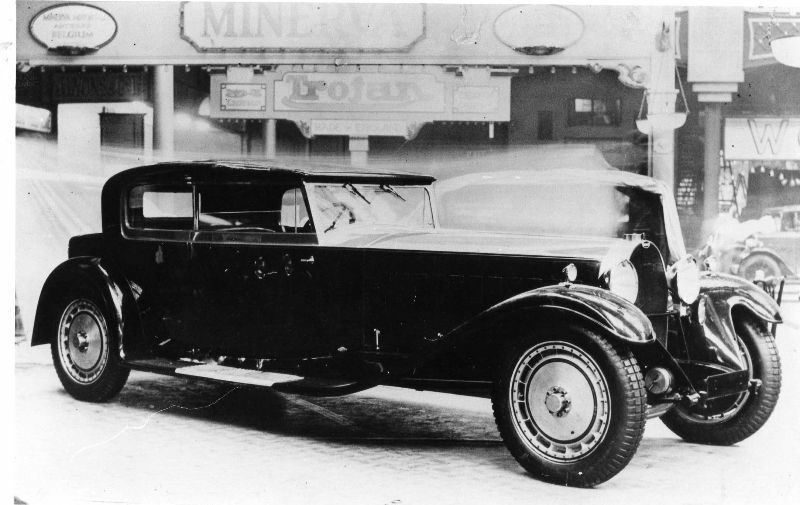 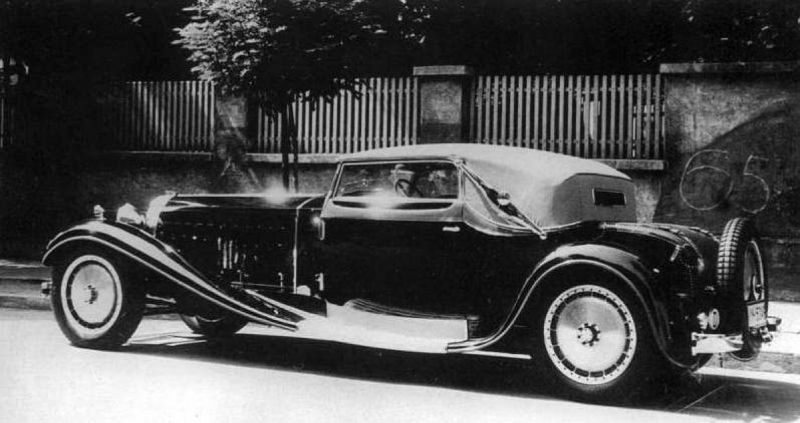 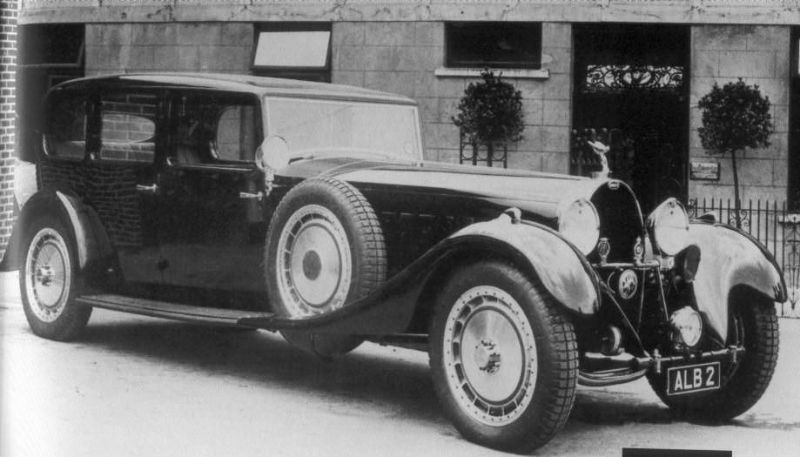 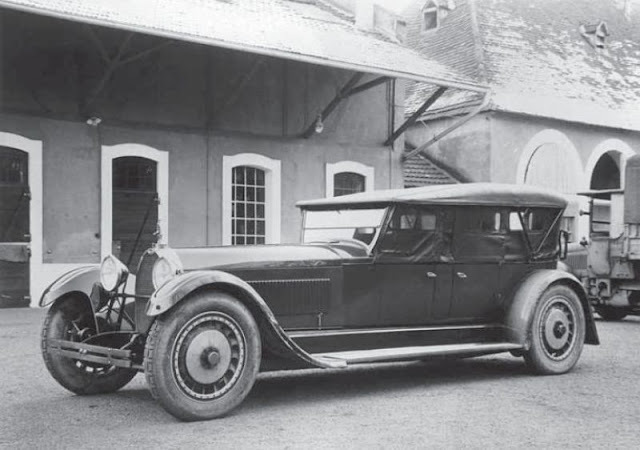 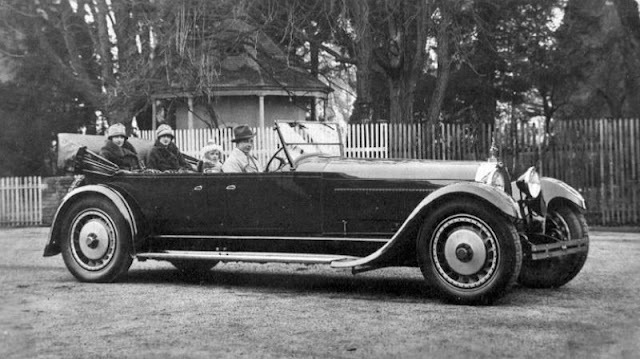 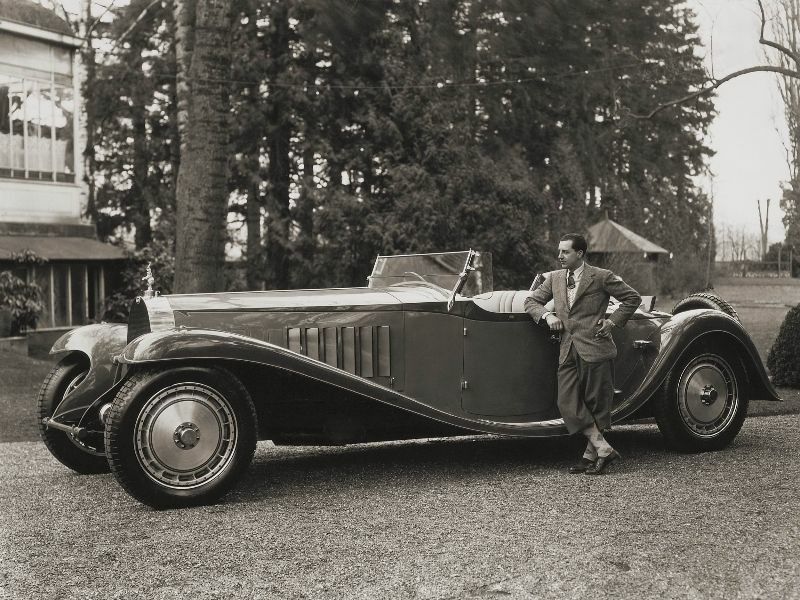 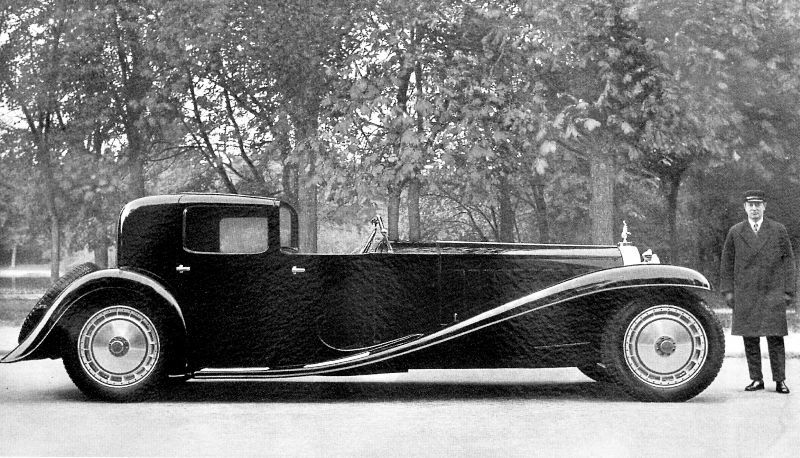 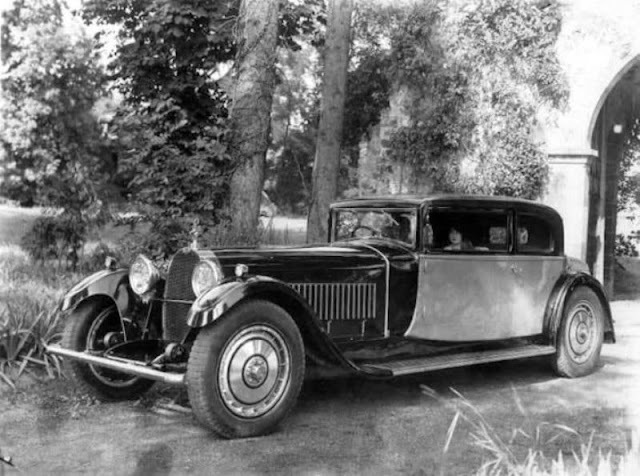 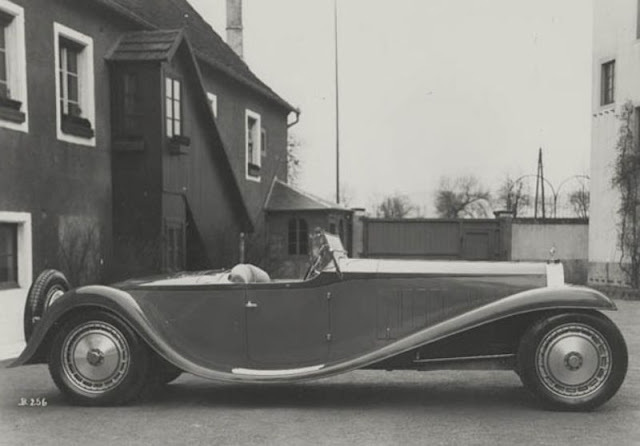 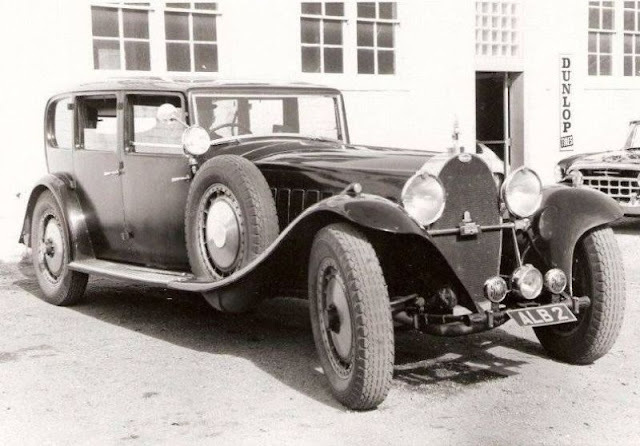 Here is a cool photo collection that shows Bugatti cars in the 1920s and 1930s.